Valentine’s Day is the perfect occasion to treat yourself to something indulgent. I love sharing sweet treats with my husband on Valentine’s Day evening. Sometimes I’ll pick up delicious pastries at the bakery. Sometimes I’ll whip up a simple batch of brownies or cookies for our celebration at home. One thing’s for sure! Love and sweet treats are always in the air on Valentine’s Day! 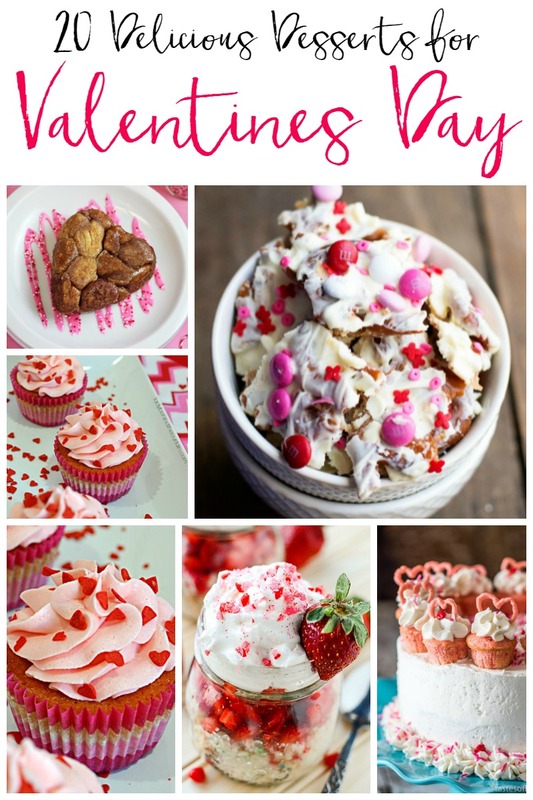 With that in mind, I am sharing 20 sweet ways to celebrate Valentine’s Day with these dessert recipes! That’s 20 ways to entice your taste buds and put you in the mood for l’amour! Chocolate Cake Hearts with Cream Cheese Frosting – Who Needs A Cape? The Best Raspberry Cheesecake Recipe – Home. Made. Interest.